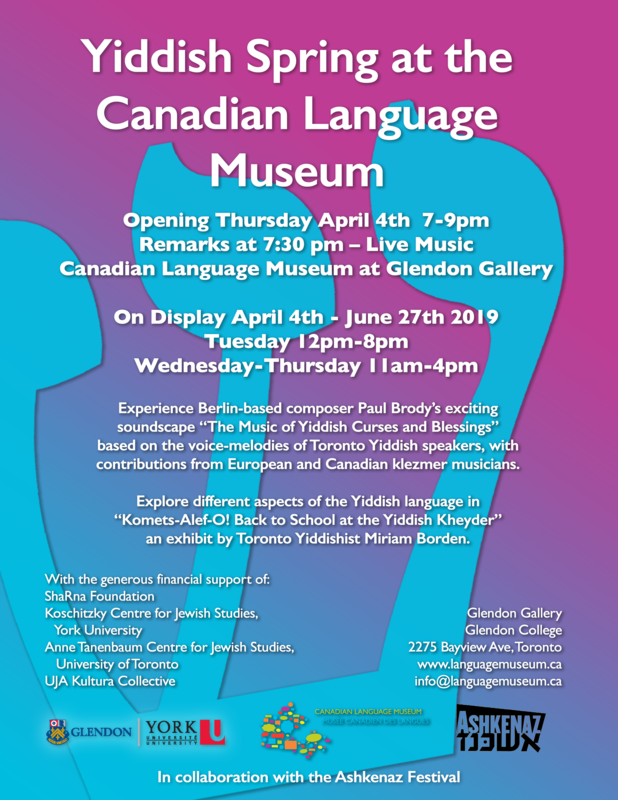 Opening April 4th 2019 at the Canadian Language Museum, Glendon Gallery! 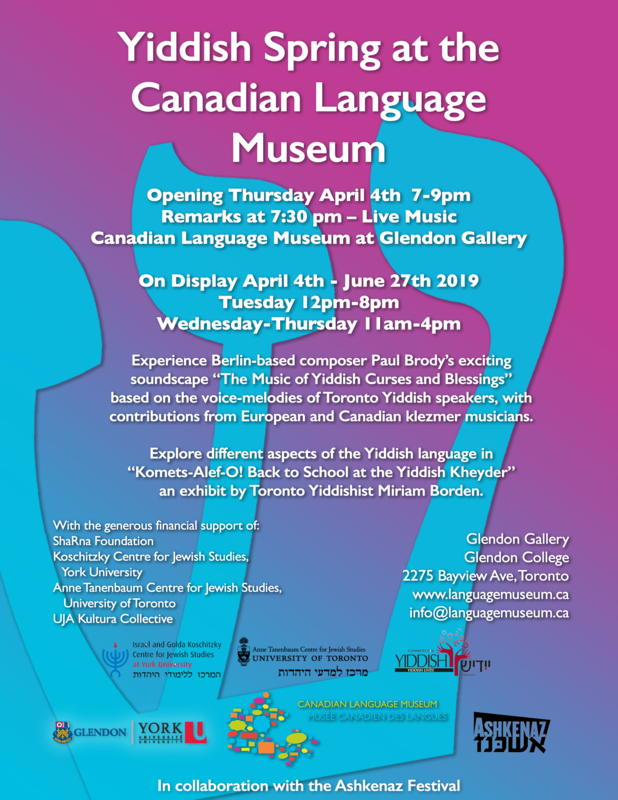 Join us for the opening of "Yiddish Spring" from 7pm-9pm in the gallery with live music, refreshments, and special guests! 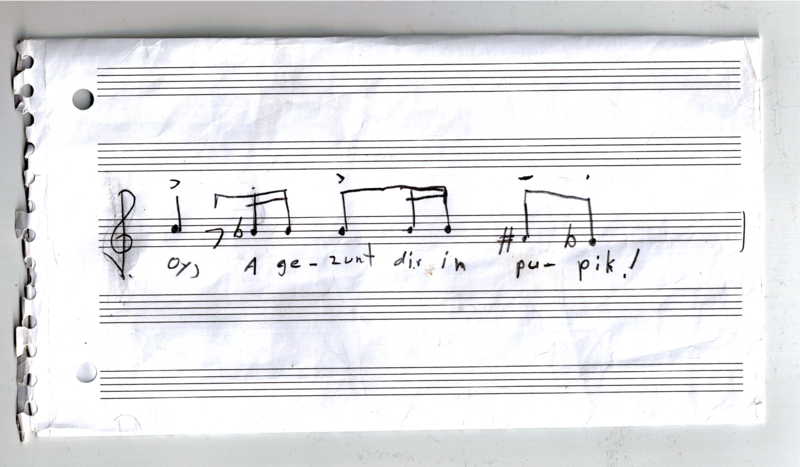 Berlin-based composer Paul Brody has created "The Music of Yiddish Curses and Blessings": an exciting sound installation for the CLM based on the voice-melodies of eight Toronto Yiddish speakers. Well-known European and Canadian klezmer musicians are contributing responses to the piece. Brody discovered that as the Yiddish speakers, young and old, invoked the traditional Yiddish sayings, the emotion in their voices revealed the musicality of speaking Yiddish. "I became fascinated by how my interviewee’s voice-melody often shifted from conversational to a melodic, almost singing voice, through the uttering of a blessing or a curse." Drawing on his work with both contemporary Jewish music and radio documentaries, Brody has created a five-part suite for his sound installation. Well-known European and Canadian klezmer musicians are contributing responses to the piece. On the walls will be the exhibit "Komets-Alef-O! 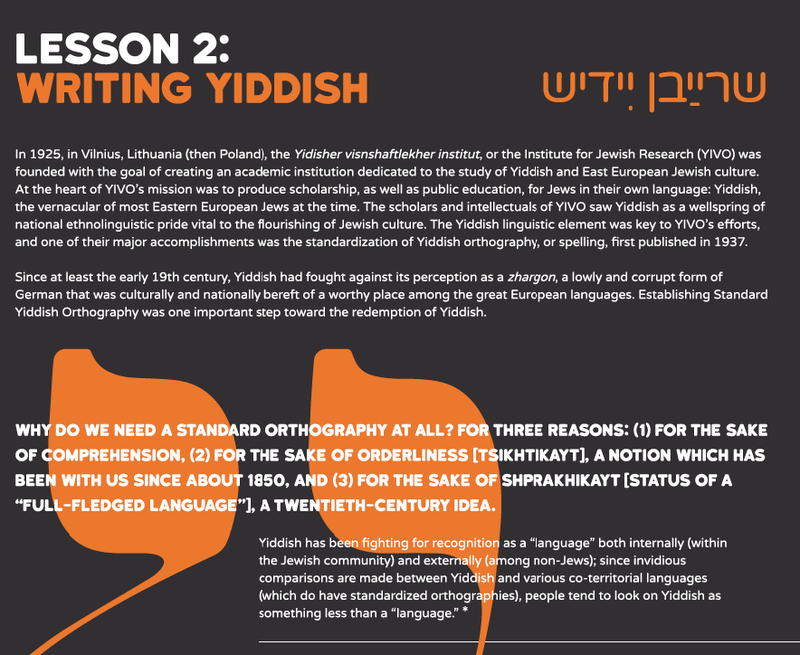 Back to School at the Yiddish Kheyder" (the Yiddish classroom): an introduction to the Yiddish language, created by Toronto Yiddish doctoral student Miriam Borden. "Yiddish Spring" will be on display from April 5th until June 27th - watch for special events during those months!